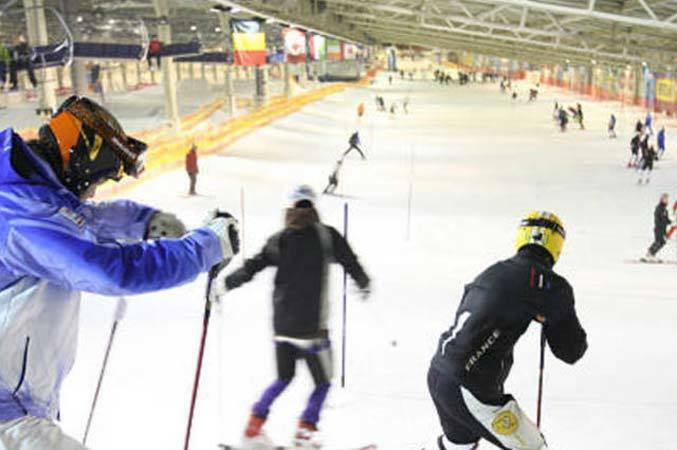 SnowWorld Landgraaf is the world's largest indoor ski resort is in the south of Limburg. With five slopes and eight lifts there are innumerable possible descents. The longest slope in SnowWorld Landgraaf makes it possible to make descends up to 520 meters. This blue slope is ideal for advanced skiers and snow boarders. For beginners SnowWorld offers two practice slopes. Even if you have never skied or snowboarded, have you the possibility to learn this. The world's largest indoor fun park is located in SnowWorld Landgraaf. With several kickers, rails and grinds there are many possible runs.